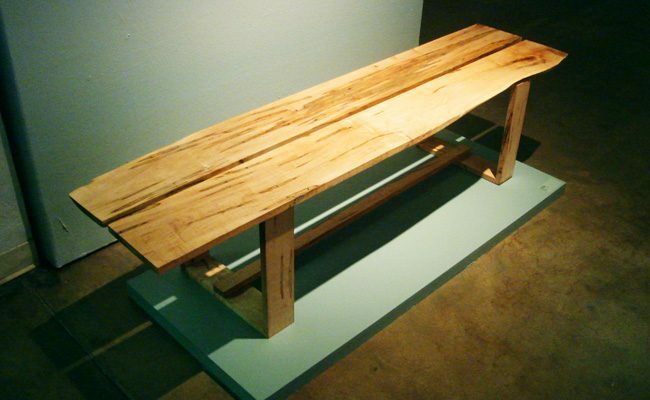 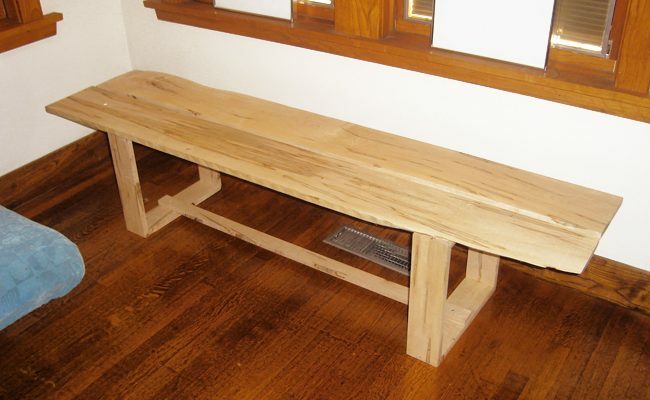 This bench has an all natural shape and finish. 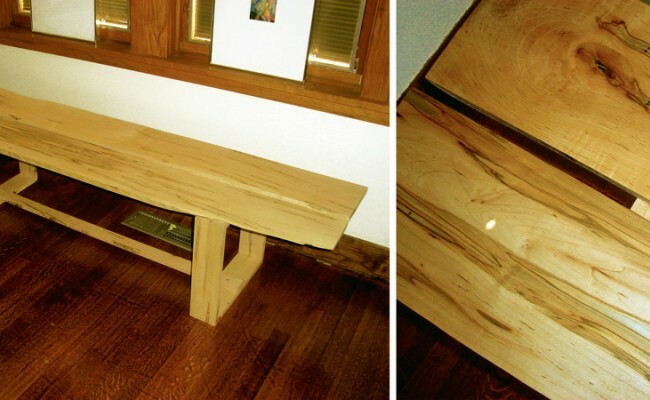 The wood grain and raw edges add color and texture to the clean, classic design. 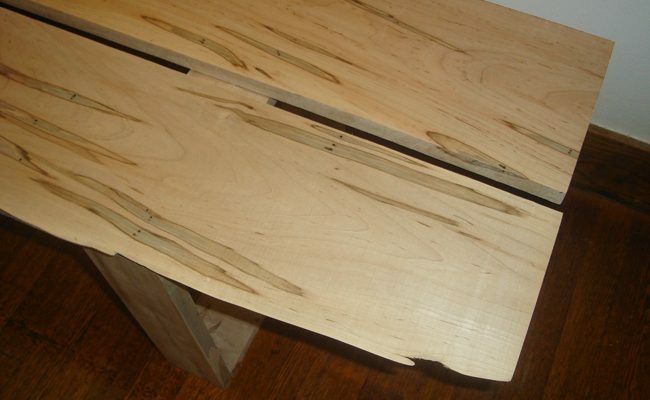 Each bench is a one-of-a-kind, with the material dictating the final look.